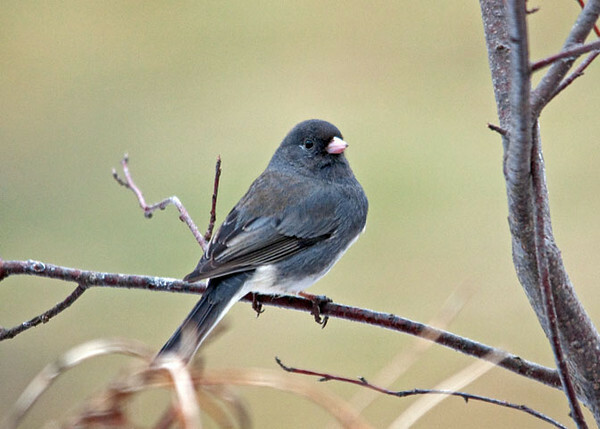 With the warm weather arriving, the Dark-eyed Juncos have gone into courtship mode. The males are zooming after the females at high speed all over the yard. This one was taking a break from the chase.